My love for Sweden (and April’s photo of me in Bruges 2009) won me a Fjällräven Kånken! Thanks I Love My Kanken! Angel Trinidad of the Philippines is the winner of our photo competition this month. Congratulations! Thank you to everyone who took part in our Photo Competition this month to win a Classic Black Fjallraven Kanken. 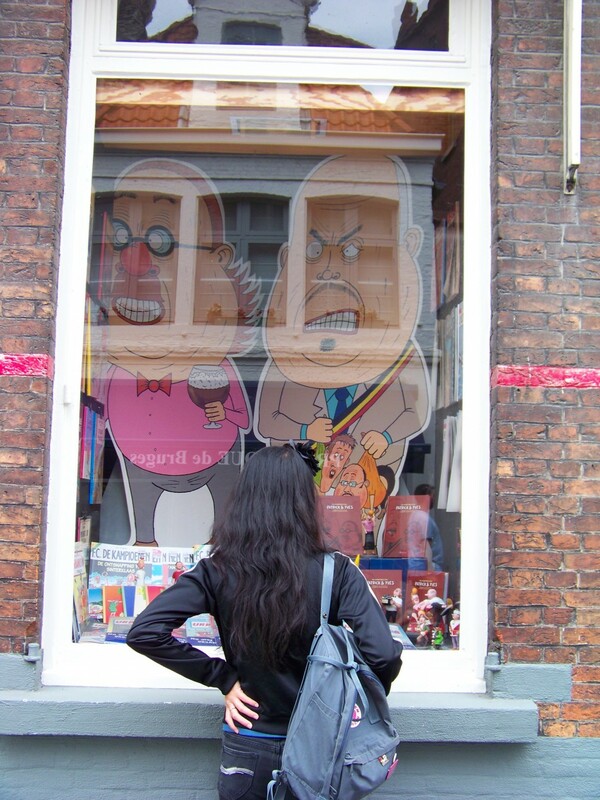 It was a very difficult decision but Angel Trinidad who comes from Manila was chosen for her window gazing image taken in Brugges in 2009. Angel has been working with the Norwegian Embassy and Swedish Consulate in Manila in promoting Scandinavian culture in the Philippines. Angel is a Swedish fanatic – she wrote her Master thesis in Swedish indie music and the nation branding of Sweden, and works in developing Sweden-Philippine relations in the fields of branding, research and culture. She sings for a dreampop duo based in Stockholm, shoots analog photography and writes. She is the biggest fan of fika and everything that is cozy, and hold in high regard the multiple varieties of Northern European coffee, pastries and cake. Watch out for Angel in Europe soon! She may be wearing her Black Kanken Classic! Those photos remind me so much of happy memories in the places I lived in the past years. Fall in Bruges with April, winter in Stockholm with Polina, spring in Stockholm with Carolina and summer in Bilbao with Arrate. Pure love!